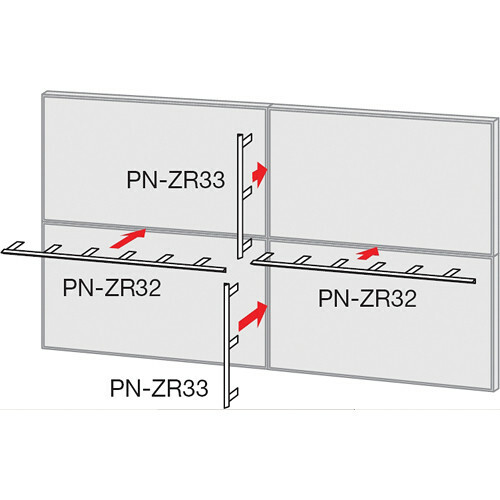 The Sharp PN-ZR32 Long Mirror Frame reflects images from the display content, reducing the lines between the slim-bezel PN-V602 monitors mounted on a video wall. Designed to fit the longer side of displays, the frame creates a more dynamic, smoother video wall. Box Dimensions (LxWxH) 55.0 x 5.5 x 1.5"